Michael has had a 20yr + career in finance across capital markets, private wealth management and more recently private equity and venture capital. 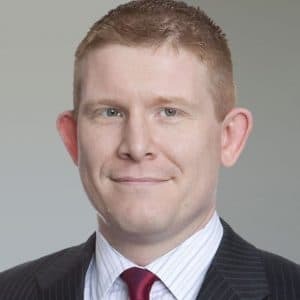 Michael is a co-founder of Sky Lake Partners, a vertically integrated real estate investment management firm, and also a registered representative on the WealthForge, LLC platform. Sky Lake invests partner and client capital in mixed use and multifamily, rent stabilized real estate in New York City. WealthForge is a Fintech broker dealer very active in Reg. A and Reg. D issuance, and 2015 winner of the UBS Future of Finance Challenge. Prior to this, he spent 17 years at Morgan Stanley, where he held several positions in both institutional FX markets and private wealth platforms. His clients included hedge funds, real money and UHNW/family offices accounts. Through his efforts, Morgan Stanley launched the first FX structured notes to the retail system which resulted in issuance in the billions. Outside of the office, Michael is a vice chair for the CFA Society’s Business Management Interest Group and is involved with charitable organizations including Leukemia Research and Aid for Aids. Michael graduated from the London School of Economics and Political Science with a bachelor’s degree in math and economics and is CFA Level II candidate for 2018. Deeply committed to the LSE’s international profile, he is actively involved in the alumni association where he holds the title of US Regional Ambassador.